Q. Is it wrong to read the Harry Potter books given that they are about witchcraft and wizardry? A. Most people would say they are harmless fun and I even hear of Jewish parodies about “Chayyim Po-tter” (“po-tter” could be taken as a Hebrew verb meaning to excuse or acquit). But anyone who takes the subject too seriously needs to be reminded of Biblical verses (e.g. Ex. 22:17 and Deut. 18:9-12) that categorically forbid becoming involved in witchcraft, divination, sorcery or wizardry. The problem is with a mindset that seeks to utilise unseen energies and forces in the world to achieve aims that are otherwise beyond the boundaries of what is realistic and rational. As far as Judaism is concerned, God has placed Adam (i.e. each of us) in a world which we can exploit and control for purposes approved by Him and making use of methods which He has sanctioned. To go outside this agenda is to bring ourselves into psychological and spiritual danger and to shunt God Himself aside. True, some people, even rabbis, resort to so-called magic tricks, but though the audience gasps in amazement everybody knows that this is not real magic but a harmless game. So we each have to decide whether to take up the same attitude towards Harry Potter and say it is entertainment and nothing else, or whether to think that there really is something in it. If the latter, we could be putting ourselves at risk. Q. Is lending money with interest permissible in Jewish law? A. The Torah prohibits a Jew from any borrowing or lending that involves another Jew in the payment of “ribbit” (interest). A Jew may pay interest to a gentile or charge them interest so long as the rates are fair. Why does the payment of interest not apply to a fellow Jew? Because they are family, and family should support each other out of love and concern. The Maharal of Prague said that treating each other in this way like loving siblings was rewarded by God redeeming the Israelites from Egypt. Q. With the financial pressures which we are all facing, how many “Jewish” expenditures are indispensable? A. The add-on costs of Jewish observance and involvement seem to add up to 20% of a family’s income. Some of these costs are explicitly required in the Torah, such as giving charity. Others flow on from Torah principles. Since prayer is required, there are the costs of belonging to a synagogue. Teaching your children Judaism entails education expenses. Eating kosher, putting m’zuzot on your doors, observing Shabbat and the festivals – all add to family expenses. Since you need to know how to be Jewish and the history and principles of Judaism , you need Jewish books. Playing your part in the Jewish world means supporting global Jewish needs. The costs add up, and though the decision is yours as to how heavily you spend on and support Jewish causes and what your own particular situation requires, the figure of 20% seems more or less accurate. Naturally, this all presumes that your Jewish identity is of crucial significance to you and your family. 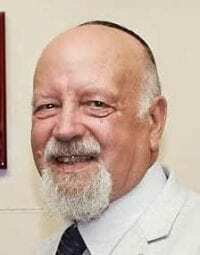 Rabbi Raymond Apple served for 32 years as the chief minister of the Great Synagogue, Sydney, Australia’s oldest and most prestigious congregation. He is now retired and lives in Jerusalem.